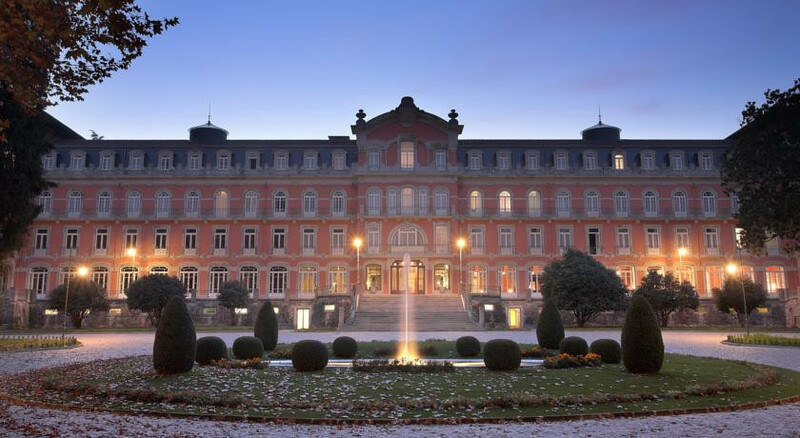 An opulent palace in a remote nothern Portugal thermal spa town, perfect for a stylish county retreat. Relax and unwind with a treatment using theraputic mineral waters in the Vidago Palace Hotel Spa. Don't forget to pack your binoculars, this is wonderful birdwatching country. Check out the nearby challenging 72 par course designed by the firm Cameron & Powell. Grab one of the hotel bikes and head out to explore the 250 acres of scenic parkland. Set within a magnificent centenary park means walks start straight from the front door. Enjoy Douro Valley wine tastings in the Palace's well stocked Cellar. "The belle-époque pink façade houses interiors which fit perfectly with the fairytale feel of Vidago, from the grand staircase to the hand-made, bespoke rugs and tapestries, mosaic floors and gilded ceilings."